That was our immediate reaction to this Fabergé-style egg necklace. We just fell in love with it. 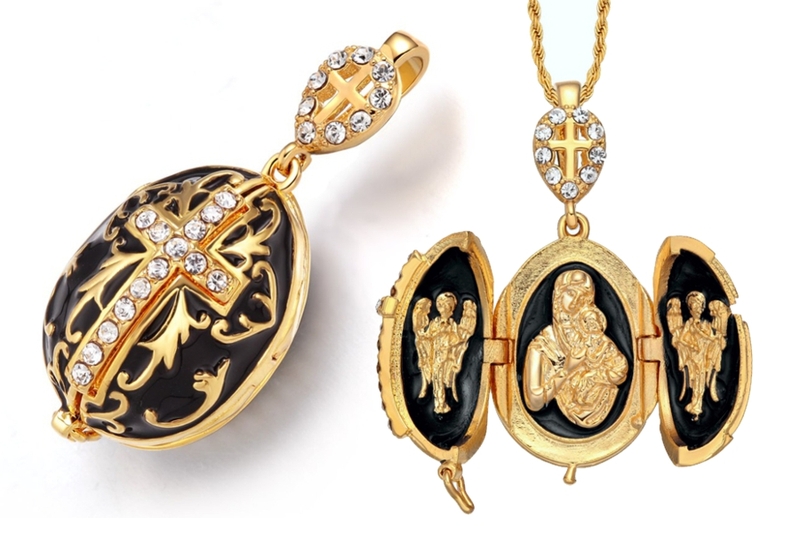 Then to our surprise, we began to love it even more when we saw that it opened up to reveal an image of Our Lady of Perpetual Help flanked by a pair of Archangels. 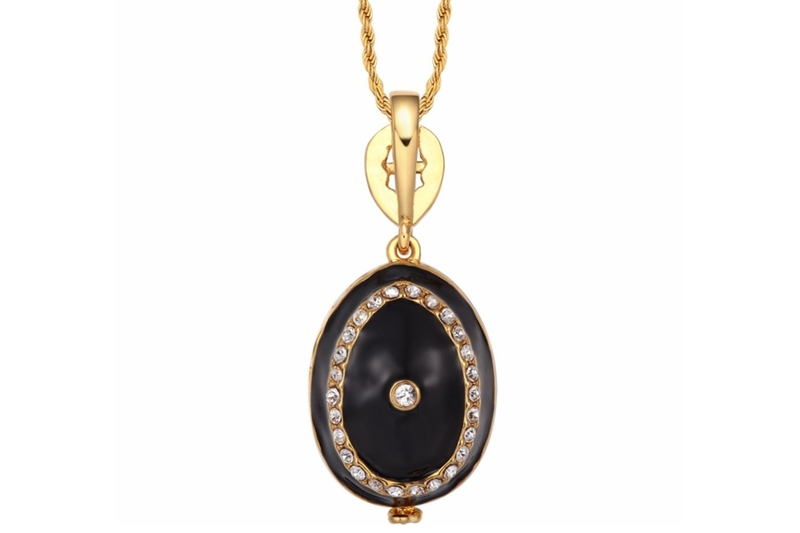 The egg is bright golden brass plated with a black enamel. To give it an even more illustrious look, it is accented with crystal rhinestones. 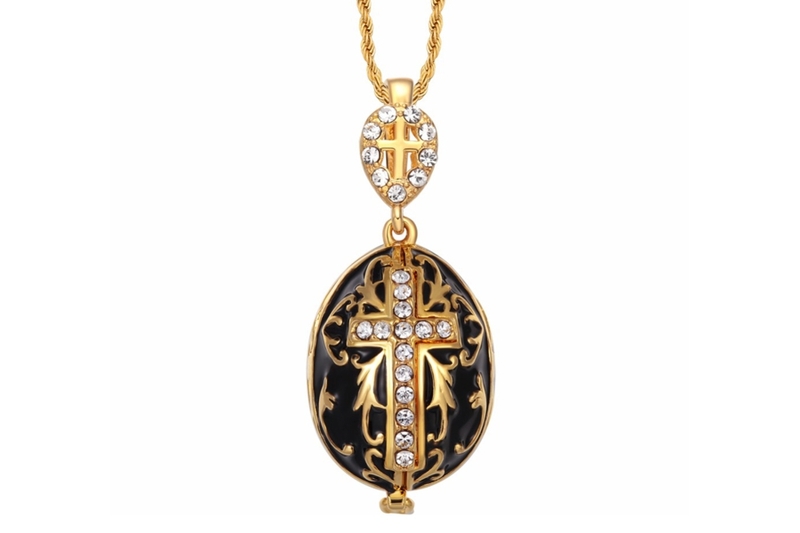 On the front side, the rhinestones take the shape of the cross, helping to hide the opening of the egg. 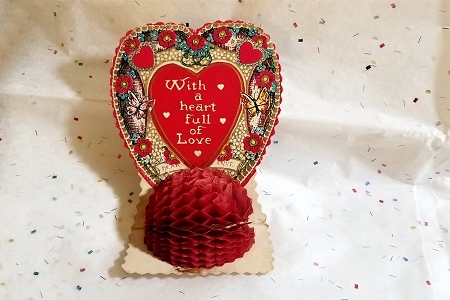 The back of the egg is encircled with crystals as well as a lone crystal highlighting the center. 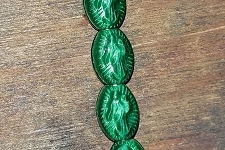 To open the egg, there is an almost hidden clasp on the bottom. 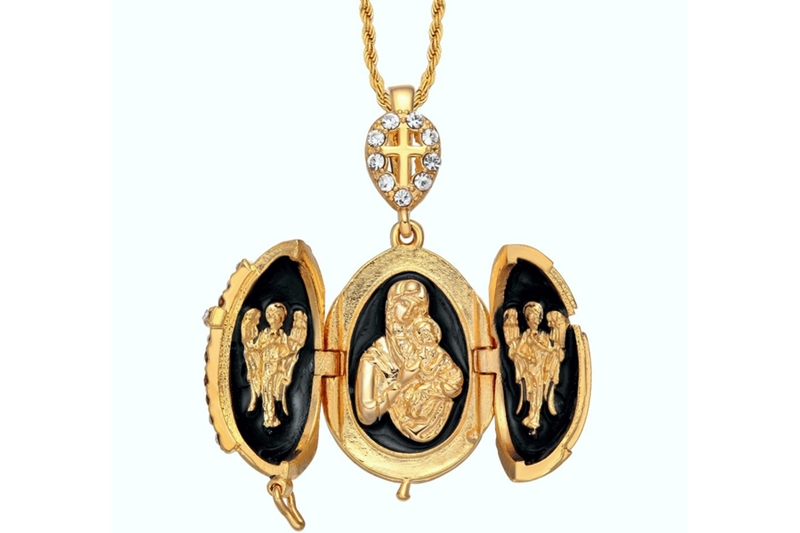 Simply unclasp it, and then swing open the doors of the egg to reveal a beautiful, golden image of Our Lady of Perpetual Help. On either side of her, a golden archangel watches over her. 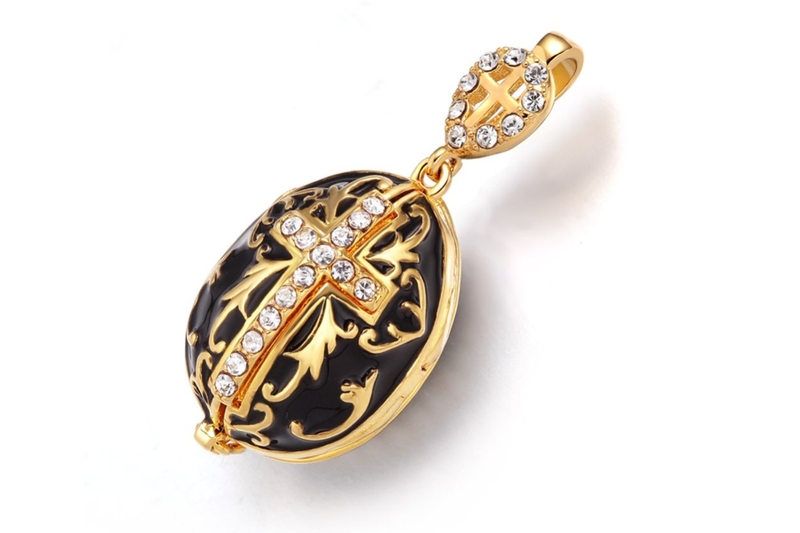 Above the egg charm, sits a beautiful golden clasp featuring a cross in the center. Like the egg, the clasp is also highlighted by crystals, to help make it and the charm sparkle even more. The egg measures a wee bit over 1 inch high by 5/8 inch wide by 3/4 inch deep. 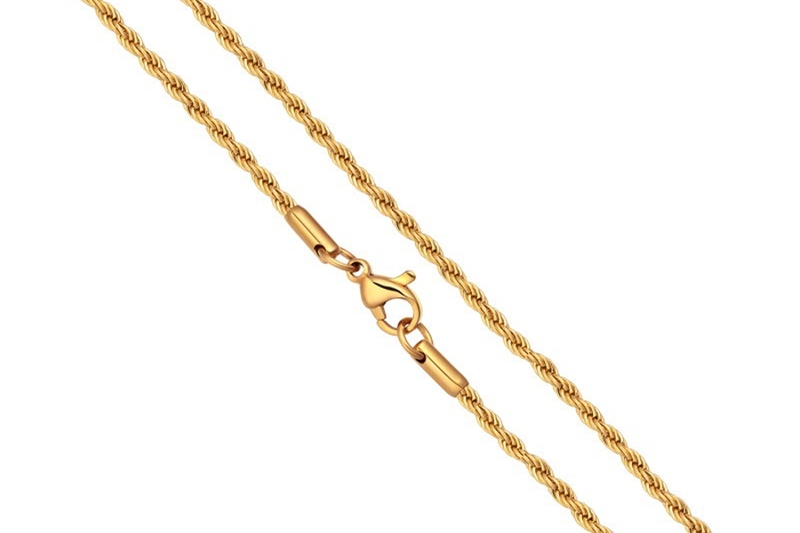 The charm comes on a golden chain that measures 18 inches.